Whisk the eggs and milk together and pour into a shallow dish. Soak the bread for 20 minutes, turning once. Preheat the oven to 200°C and line a baking tray with non-stick baking paper. Place the tomatoes onto the tray and bake for 15 minutes, until soft. Lightly oil a large non stick frying pan. Cook the bread in batches over medium low heat for 2 minutes each side. Sprinkle with parmesan. 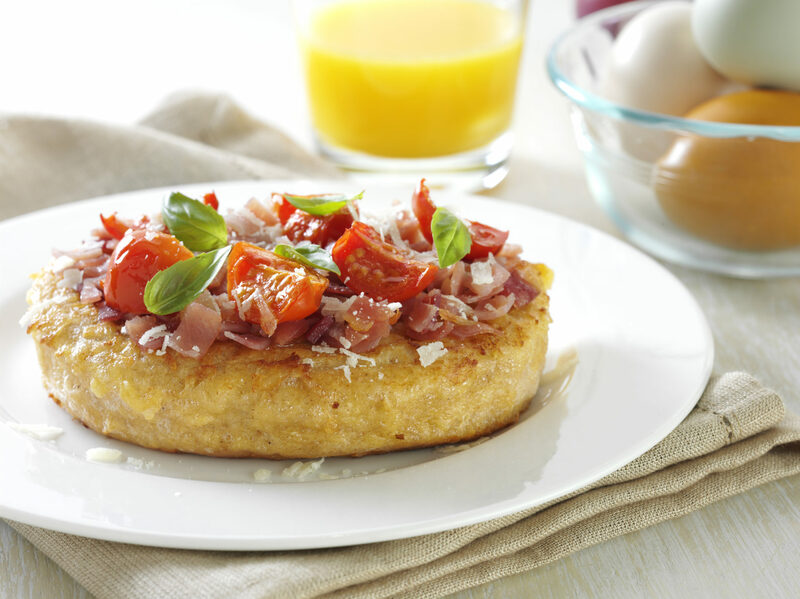 Serve the French toast with the tomatoes, and sprinkle with diced prosciutto and basil.